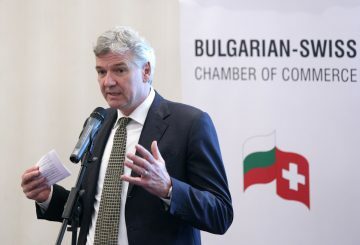 Dual education is introduced in Bulgaria within the project “Swiss support for the introduction of dual track principles in the Bulgarian vocational education system”, financed by Switzerland under the Bulgarian-Swiss Cooperation Programme. The project is better known in Bulgaria as DOMINO, the Bulgarian abbreviation for dual education for the modern needs and requirements of the society. The project has a total budget of CHF 3`530`000, including 15% co-funding from the Bulgarian Ministry of Education and Science. We are using mainly the experience of Switzerland, as well as the knowledge of other countries and the good old traditions of Bulgarian vocational education. Dual education is one of the key factors for the economic success and competitiveness of Switzerland and for the low rates of the youth unemployment in the country. The implementation of the project started in 2015, when students of the Vocational School for Food Processing Technologies “Prof. Dr. Georgi Pavlov” in Sofia and the Vocational School “Ivan Hadzhienov” in Kazanlak (Southern Bulgaria) pioneered in the introduction of dual education following the Swiss model (learning by working). A year later, 14 more schools joined the project and over 60 leading Bulgarian and foreign companies became partners of DOMINO. 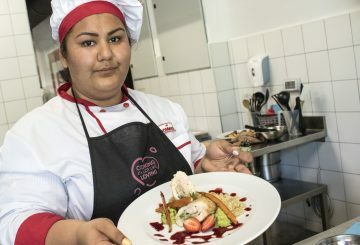 As of the school year 2018/2019, 1,600 students in 32 vocational schools in 19 towns across Bulgaria are enrolled in a dual form of education under the model “learning by working” for 12 professional occupations. Over 170 Bulgarian and foreign companies are DOMINO-partners. By 2019, when DOMINO will be completed, it should involve at least 1 200 students in 15 vocational schools, as well as at least ten professions. New educational programmes and curricula are being developed, and teachers, mentors and experts on dual education receive special training. 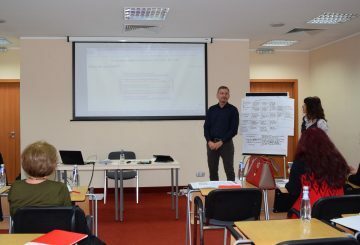 The involvement of the different stakeholders for the introduction of the dual system in Bulgaria – state institutions, private companies, branch associations and business organizations, local authorities and the NGO sector – is coordinated by a specially organized Forum for Dual Vocational Education. 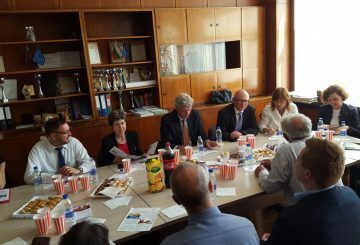 The Swiss Federal Institute for Vocational Еducation and Training (SFIVET) and the Bulgarian-Swiss Chamber of Commerce (BSCC) are the project’s partners. DOMINO is managed by the Project Management Unit embedded in the Bulgarian Ministry of Education and Science. Would you like to know about DOMINO? Check out our Q&A section. Download brief information about the project.